We’re a visual society and everyone loves to watch videos. Of B-to-B companies who are using videos, 80% of them reported positive results. From a manufacturing perspective, this should be a no-brainer. The key is to have a strategy and create compelling content. How-to videos, troubleshooting, new product launches are just a few that come to mind. Some of the challenges firms are facing are lack of manpower and budgets being their biggest, followed by creating compelling content. Videos don’t have to be long or be made into a Hollywood production. There are inexpensive cameras out there and editing software that most things can be done in-house. The key is content. Give the viewer something he can use. Keep the message clear, to the point and short. I’m sure that those top 3 objectives fit into yours. 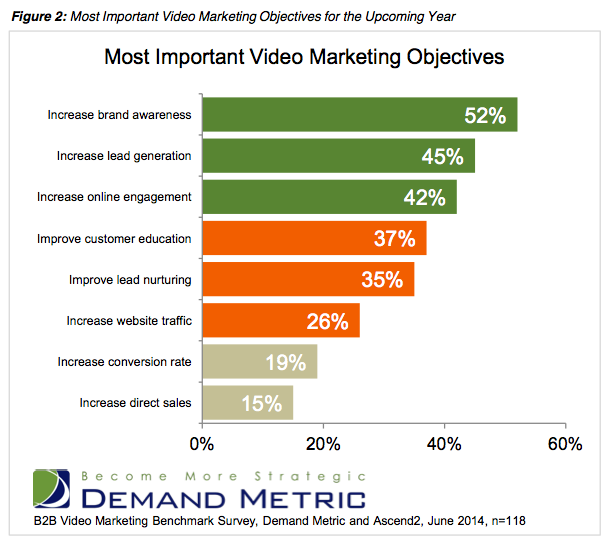 So what are you doing about capitalizing videos to enhance your marketing efforts? Have your Videos gone Viral? Are you Taking Advantage of Online Videos?